A new anthology published by the British Council features 28 stories from Myanmar, originally written in 11 languages. 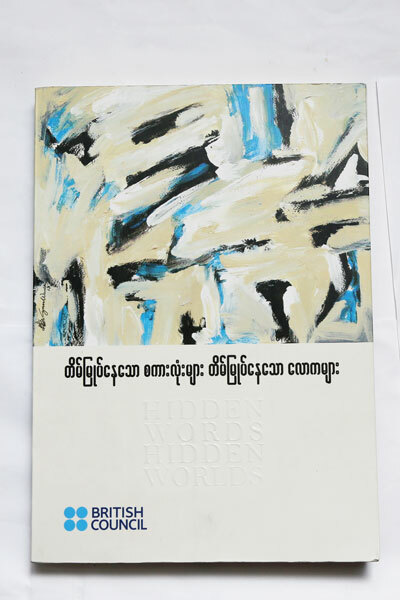 Writing for the Myanmar Times, Nandar Aung reported that last month, the British Council published an anthology, Hidden Words, Hidden Worlds – a collection of literary works written by writers working in Myanmar’s ethnic languages. Featuring 28 original stories with 21 of them in translation, the original works were written in 11 different languages (and 10 different scripts) representing the broad span of the nation’s seven ethnic states. It is hoped that the book will help support freedom of expression, creativity and social change. Saya Lay Ko Tin, a short-story writer and literary editor who has been arrested three times for “political offenses” told the paper that, “This is the first time I’ve been able to do this. It’s the first book of short stories written in ethnic languages to be distributed in Myanmar. One thousand copies of the anthology have been printed and distributed at no charge and are available through the British Council Library throughout the country. The English-language translation of Hidden Words, Hidden Worlds will be published in the UK next year, making it the first anthology of translated ethnic-language stories from Myanmar.